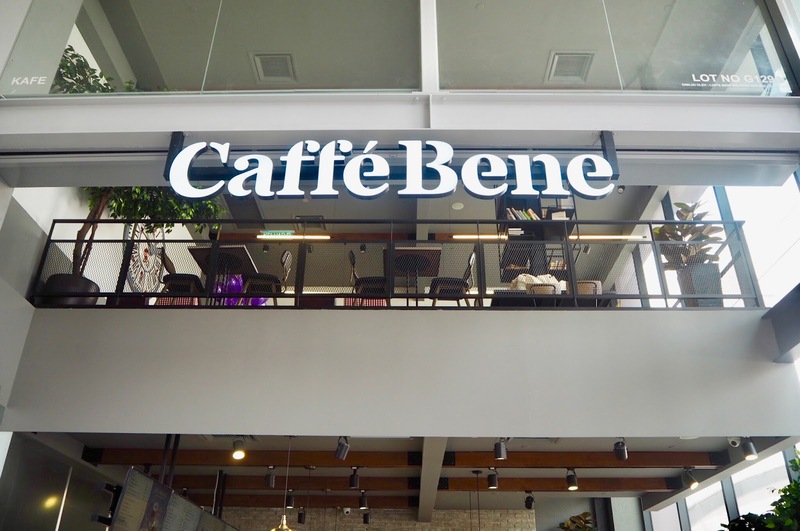 Caffe Bene from South Korea has maintained a high degree of popularity since arriving in Malaysia. 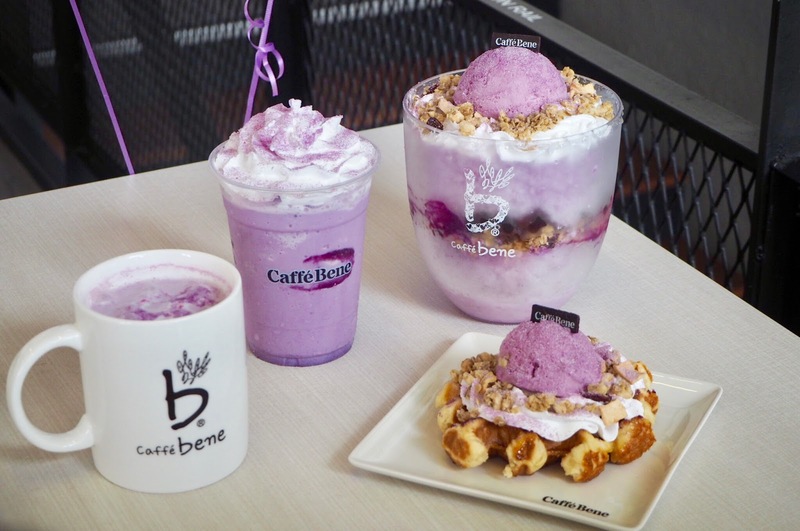 Cafe Bene occasionally launched limited-time dessert drinks to reward their loyal customer. 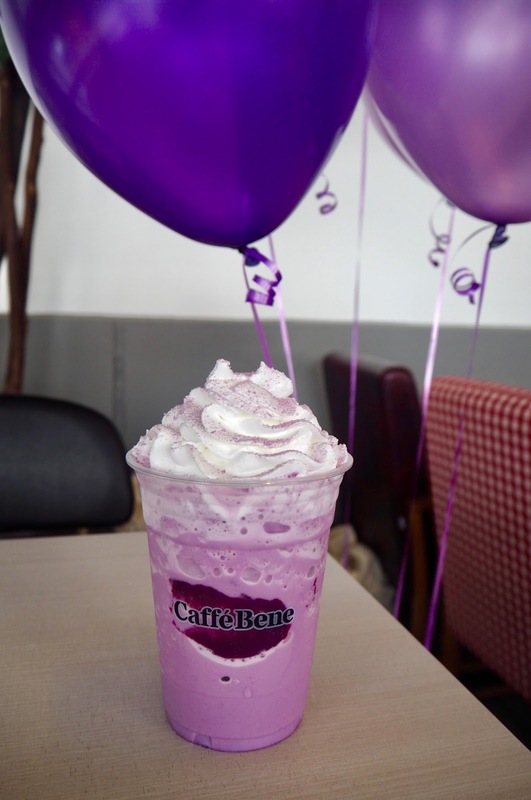 To welcome the advent of 2018,Caffe Bene launched a limited edition dessert drink - a new era of Violet Purple Sweet Potatoes. This series used purple sweet potato as the main ingredients, beautiful in color, taste more awesome! If you love the sweetness of sweet potato, look at what delicious desserts this line contains! Many thanks to The Butterfly Project Malaysia & Caffe Bene for hosting the event and sponsors by MAISON de gigi, JUICY Fresh Juice Bar and Caffe Bene Premix Coffee. 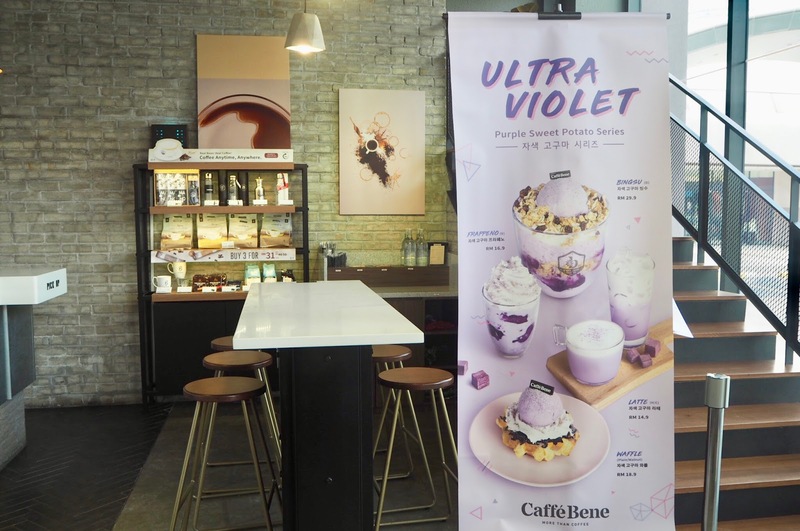 Caffe Bene brings out the new color for 2018 and it was our lucky day as we get try out Caffe Bene's latest seasonal menu - Ultra Violet Purple Sweet Potato Series. 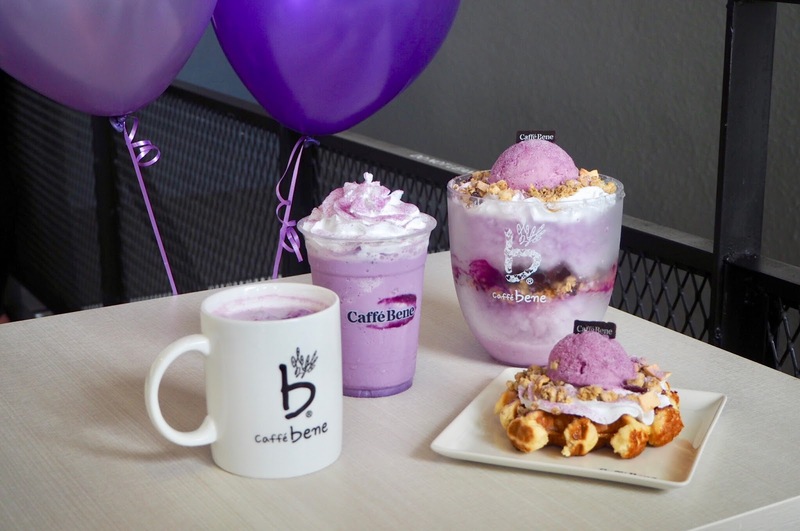 The Ultra Violet Purple Sweet Potato Series also include Purple Sweet Potato Bingsu, Latte, Frappeno and Waffle in the menu. Don’t miss out on this special seasonal hit. Only available until 15 April 2018. 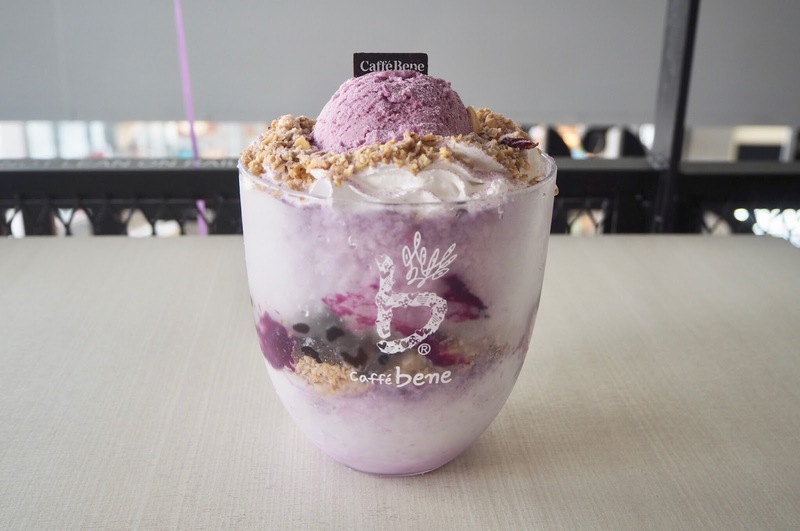 This ultra violet icy treat built up with layers of shaved ice, purple sweet potato milk base, crunchy granola, bouncy agar jelly and topped with our seasonal Ultra Violet Sweet Potato Gelato. Dig into a generous portion of Purple Sweet Potato paste; making this a delightful treat from start to finish. 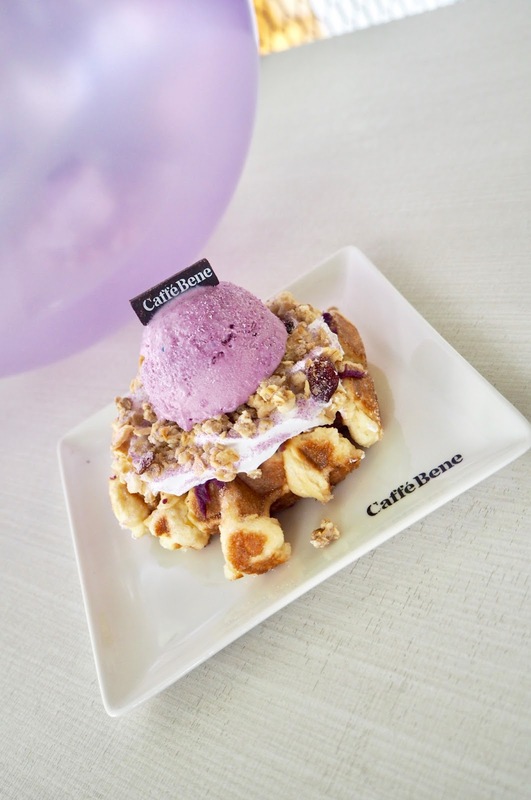 Vibrant purple sweet potato paste layered on top of Caffe Bene signature Belgium waffle (Plain/Walnut), crunchy granola, topped with seasonal purple sweet potato gelato and finishing it up with purple sweet potato powder. The perfect icy drink for a hot summer day. Ice blended purple sweet potato frappno, topped with whipped cream and sprinkle of purple sweet potato powder for that finishing touch. The perfect icy drink for a hot summer day. Ice blended purple sweet potato frappno, topped with whipped cream and sprinkle of purple sweet potato powder for that finishing touch. 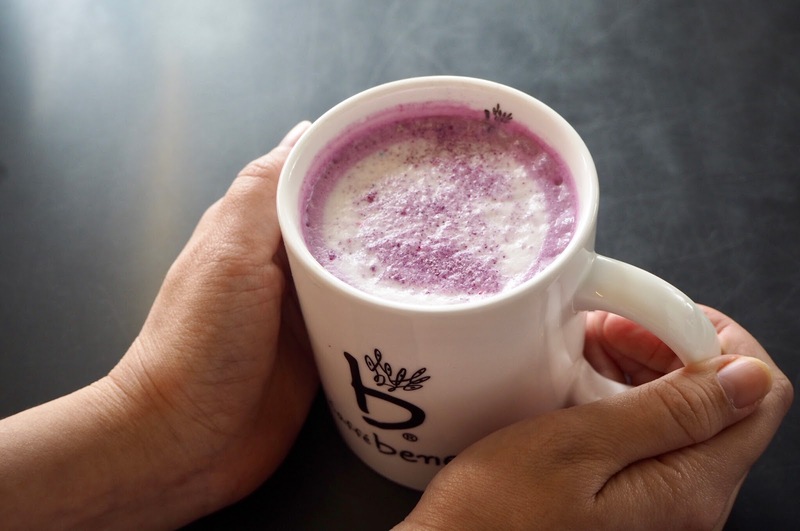 Smooth, thick and creamy purple sweet potato latte – best enjoyed either hot or iced. 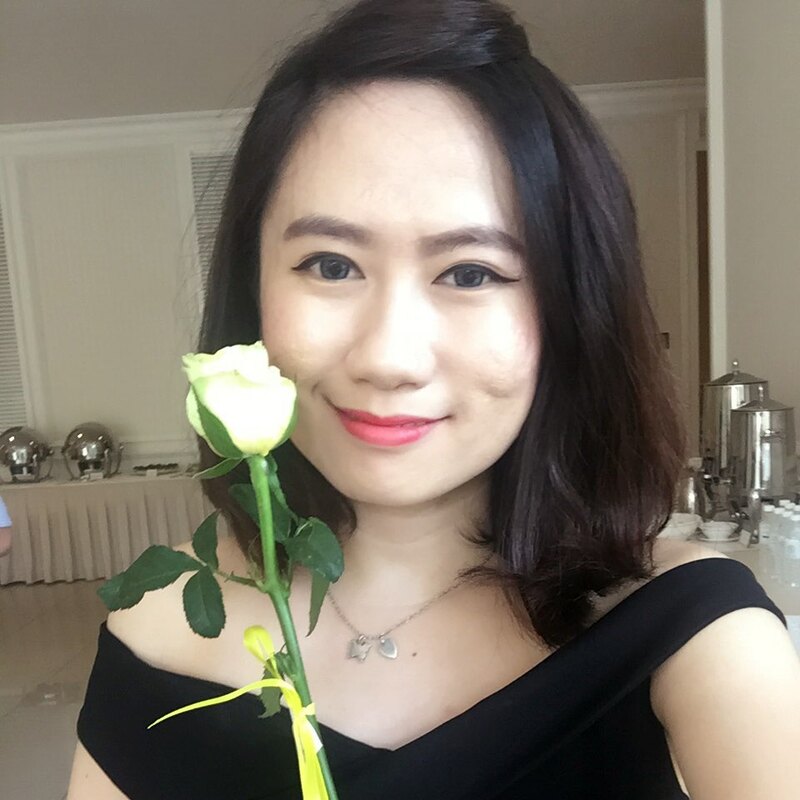 Have a great time with butterflies's bloggers to celebrate the beautiful ultra violet theme party and enjoying all the sweet decadent desserts in The Butterfly Project's event.